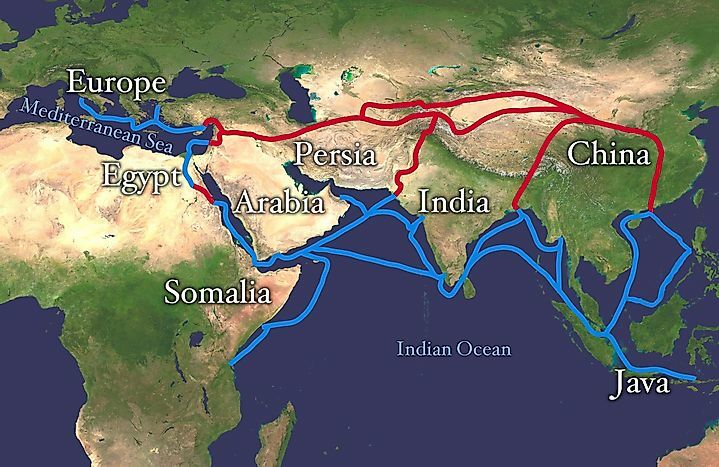 What Was The Silk Road Route? From the 2nd Century BC until the 15th Century AD, this trade route connected the Eastern and Western worlds. The international trade routes that later became known as the Silk Road or Silk Route/s were opened as the Persian Royal Road in the Achaemenid Empire (500-330 B.C.). It began at Susa in the north of Persia (Iran through Asia Minor (Turkey the Mediterranean Sea. In time, the Royal Road branched out into side routes; the western routes went to Greece, Rome and Britain and the eastern routes eventually crossed into the Indian sub-continent and over into Egypt and the African continent. After the end of the Achaemenid dynasty and the death of Alexander the Great, his heirs, the Seleucids gradually extended their empire till it reached Seres; the name by which the Greeks and Romans called China because of its silk. The West first came into contact with China at about 200 B.C. during the Han Dynasty. This connection led to the establishment of trade relations, and Emperor Wu opened the Silk Road in 130 B.C. The erstwhile Persian Royal Road became the major artery of the Silk Route. In 129 B.C., the Parthians conquered Mesopotamia, which was the central intermediary between the East and the West. The Parthians now controlled the Silk Route. As is common in all distribution networks, the cost of the item grew exponentially as it passed hands along the Silk Road and arrived in the West. Not only was silk exceptionally costly, but also it was deemed immoral because it was thought to induce licentious behavior in men and women. But no amount of conservative criticism had the least effect on the silk trade. The Chinese people told the world that a unique tree produced silk. 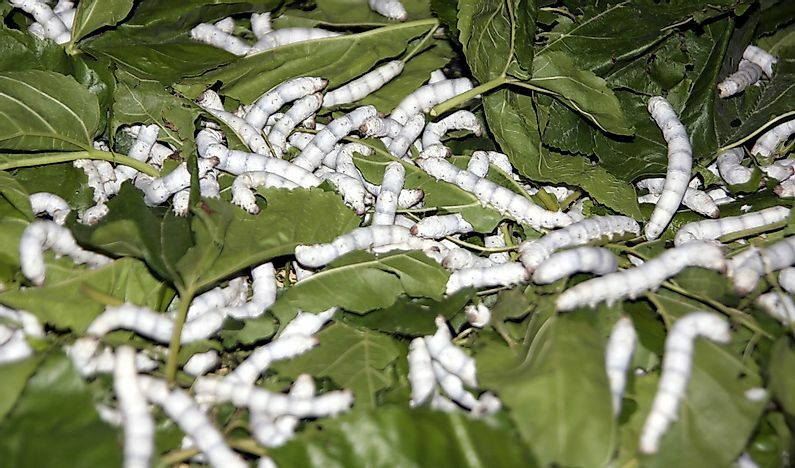 The Romans believed it for centuries till the Byzantines came to know that is was made by silk worms and managed to smuggle some silkworms out of China in the 6th century. The prosperous Byzantine silk industry was flourishing for five centuries before it lost its vast empire to the Turks in the 11th century A.D. After the fall of Constantinople, the last vestige of the Byzantine Empire, the Ottomans closed the Silk Road in 1453, cutting off all ties to the West. The Silk Road, named so by the German geographer and traveler in 1877, was the most important medium of world trade for centuries. It enhanced commerce, which formed the backbone of the world’s economy. However, its greatest collateral value was the exchange of culture among the different civilizations of the known world. Art, philosophy, religion, language, science, architecture and every other feature of human civilization passed through the Silk Routes. The Silk Road also carried diseases, most notably the bubonic plague which devastated medieval Europe. The closing of the Silk Road and the enthusiasm to find a faster sea passage to India encouraged European monarchs to undertake naval exploration. It led to the Age of Discovery (1453-1660 A.D.) when merchants plied their trade through seas. Discovery of the New World and the Pacific Islands also took place. The expanded worldwide interaction resulted in the beginnings of a global community. How Many Types Of Silk Are There?